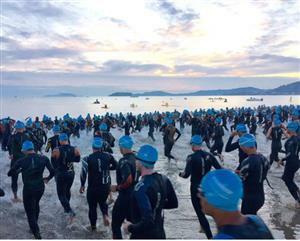 Over the first half of the swim, a lead pack of four men are a 45 second advantage over a chase group that has about 10. We anticipated that there would be a larger gap at this point of the race. Amanda Stevens leads the swim at the halfway point of the swim the Haley Chura on here heels. 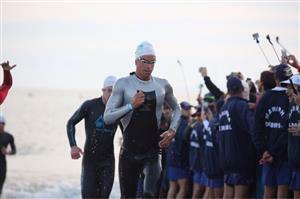 Amorelli leads the men out of the water at the halfway point of the race. Chura is the first women out of the water with a 49:35 swim, followed by Stevens who clocked a 51:15 swim time. Rafael Gonlalves is the first age grouper out of the water. Chura heading out of T2. 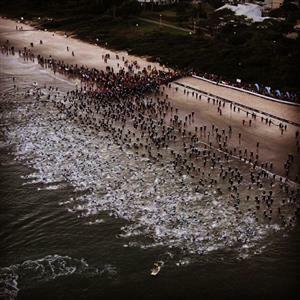 #IMBrasil Vanhoenacker and Butterfield have bridged the gap and we now have a lead pack of six that includes O’Donnell, Mathews, McMahon and Amorelli. Time Deckers riding in second. 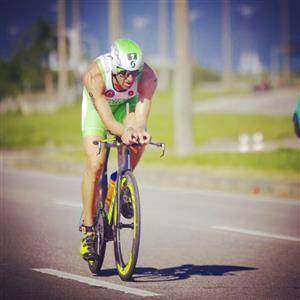 #IMBrasil We just got word that Chura has suffered a flat tire. 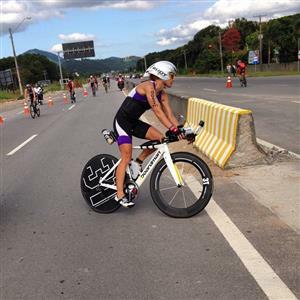 #IMBrasil Quick change artist Chura is back on her bike and has 2:51 advantage over Deckers (2nd) at 104 km's. #IMBrasil At 134 Km’s Matthews has fallen off the pace (+1:51), now the lead pack contains Vanhoenacker, O’Donnell, Amorelli, McMahon and Butterfield. 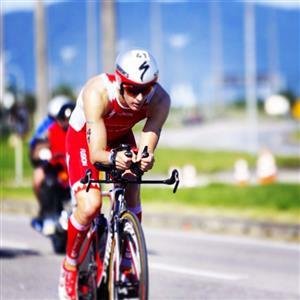 #IMBrasil Vanhoenacker is making his move, he has 0:55 - 1:08 leads on O'Donnell, McMahon, Butterfield and Amorelli at 145 km's. #IMbrasil Chura has gone through 123 km’s with the lead, followed by Deckers +2:38, Stevens +4:06, Lundstrom +4:33, Lyles +5:00. 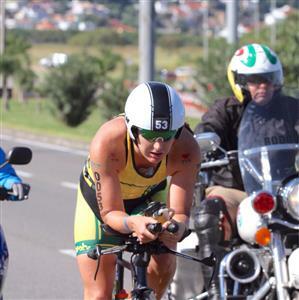 #IMBrasil Not surprising, at 155 km's Vanhoenacker has put the hammer down in the late stages of the bike. He now has leads of over 2:45 on O'Donnell, McMahon, Butterfield and Amorelli. #IMBrasil Vanhoenacker has stretched out his lead 3:16 on O'Donnell, McMahon, Butterfield and Amorelli as the field goes through 160 km's. #IMBrasil Chura is still looking comfortable out front at 130 km’s but the field is tightening up behind her with Deckers +2:29, Stevens +3:56, Lundstrom +3:59, Lyles +4:55, Hufe +5:21. 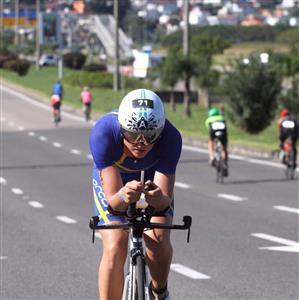 #IMBrasil IThe Vanhoenacker surge has put the sting on the chase pack behind as O’Donnell, McMahon and Amorelli and Butterfield have slipped to 4:35-4:42 deficits. Lundstrom working her way towards the front. 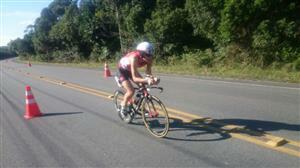 Chura leading the women in the late stages of the bike. 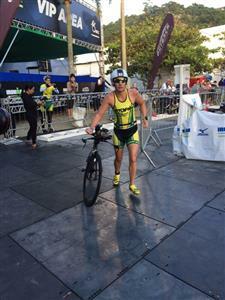 #IMBrasil Vanhoenacker is the first man off the bike today here in Brazil. 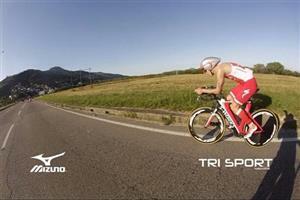 #IMBrasil Vanhoenacker's bike split today was 4:11:22! 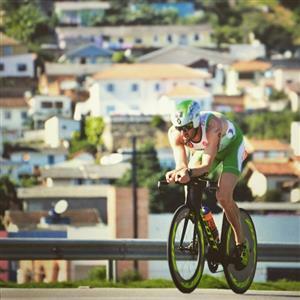 #IMBrasil McMahon was 2nd off the bike +6:01, followed by O'Donnell +6:07, Amorelli +6:17 and butterfield +6:20. 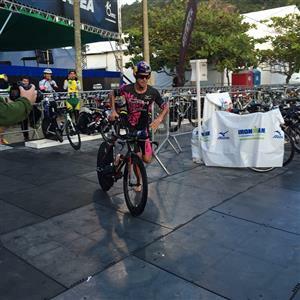 #IMBrasil Butterfield has to serve a penalty before starting the run. 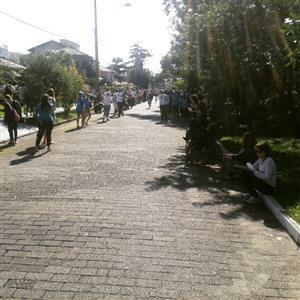 #IMBrasil At 4 km into the run Vanhoenacker has a 5:05 lead on McMahon, +5:06 on O’Donnell and +6:23 on Amorelli. #IMBrasil Vanhoenacker has the lead but has McMahon (+3:43) and O’Donnell +3:48) making a charge from behind, while Amorelli is +5:45 off the pace.